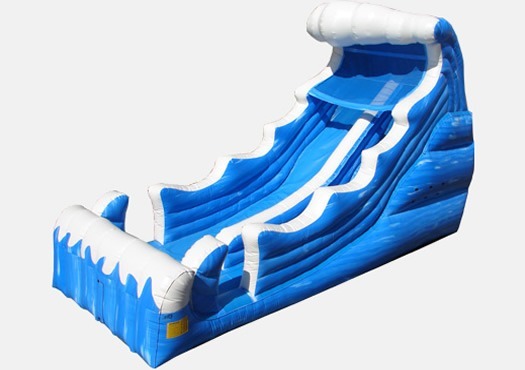 Twenty two feet is quite long, especially for a water slide. 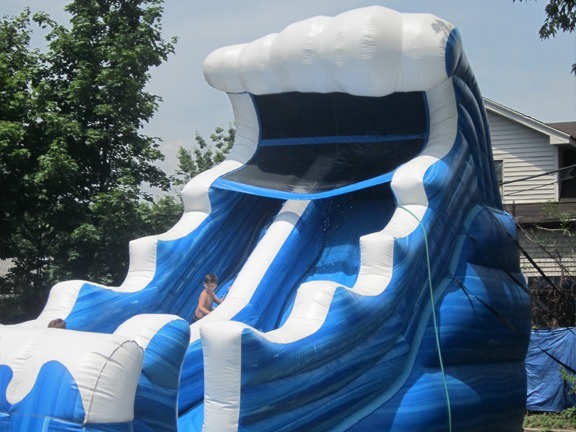 Imagine a giant blow up slide about as long as a tractors trailer… how fun does that sound? 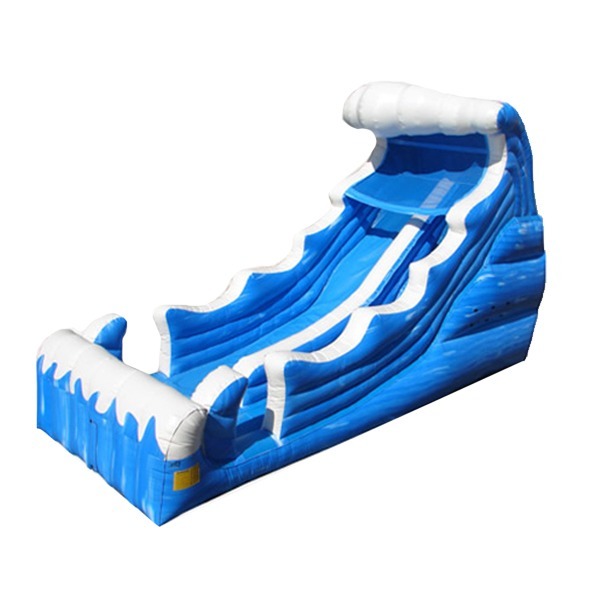 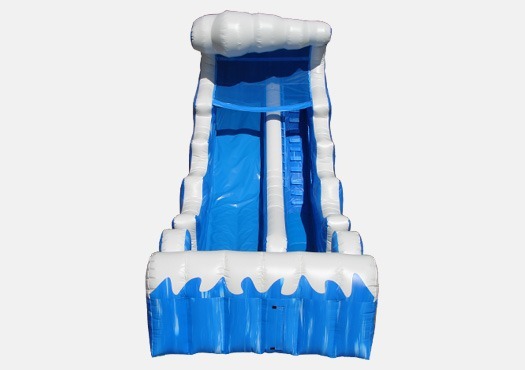 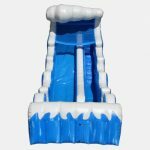 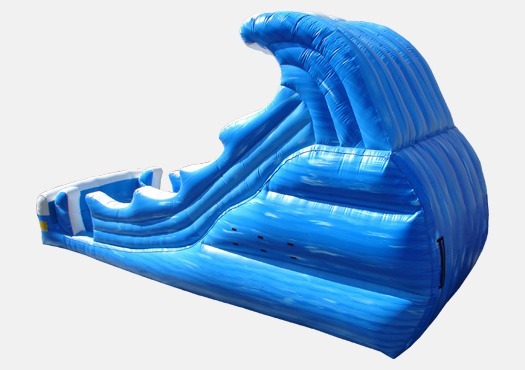 This rentable water slide is unique from our other slides in that it has the option to be used wet or dry with a cool blue wave, aqua like theme to it. 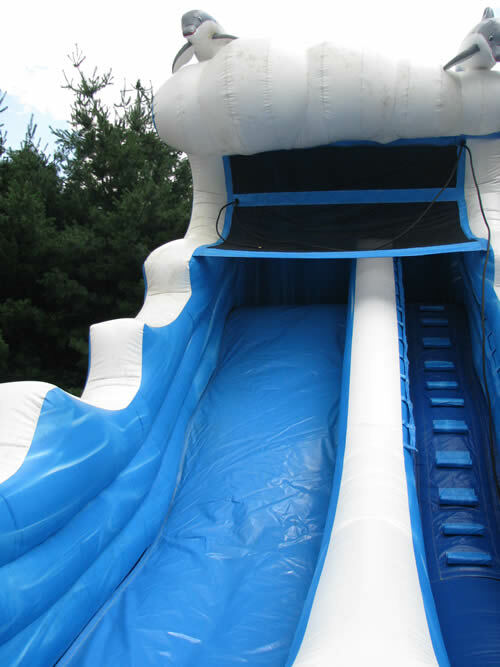 I suppose in a sense, then, you could call this an amphibian water slide. 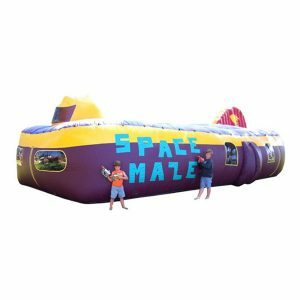 Has quite a ring to it, doesn’t it? 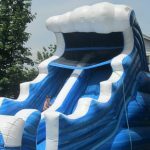 Kids are given the opportunity to be themselves or adults can channel their inner child with this product and have tons of fun on a hot summer day. 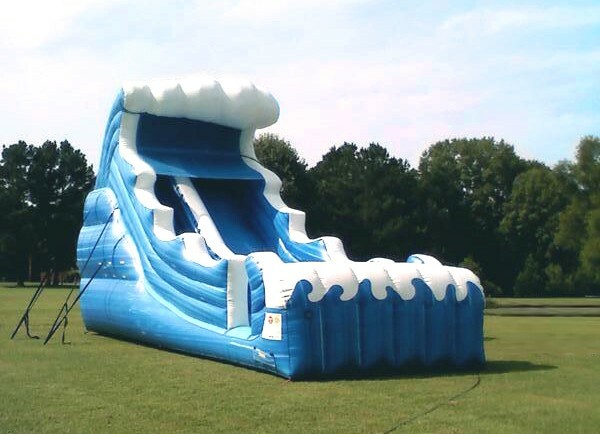 As far as slide rentals go, this is one of the coolest options out there! 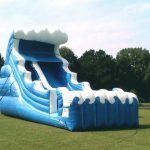 Rental slides are a great way to cater to an event at an affordable price, and NY Party works is ready to arrive at your event, slide in hand! 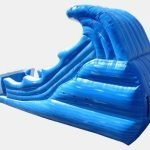 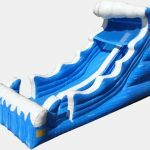 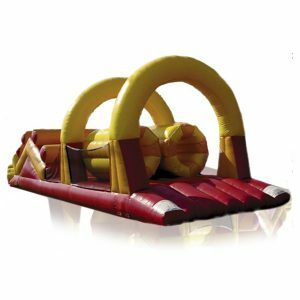 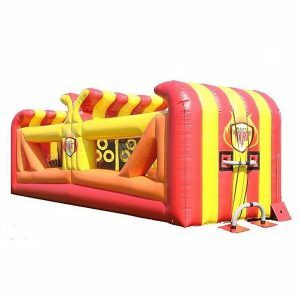 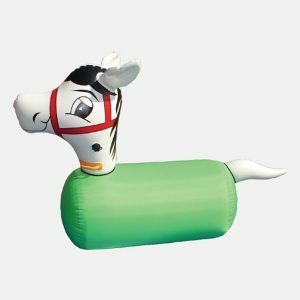 If you have any questions or would like to begin bringing your next party to life with this giant inflatable, blow up slide, feel free to give us a call at (800)469-3866 or click on the button below and fill out the form. 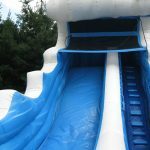 Thank you for visiting our page and we look forward to hearing from you and working with you to coordinate an unforgettable party!